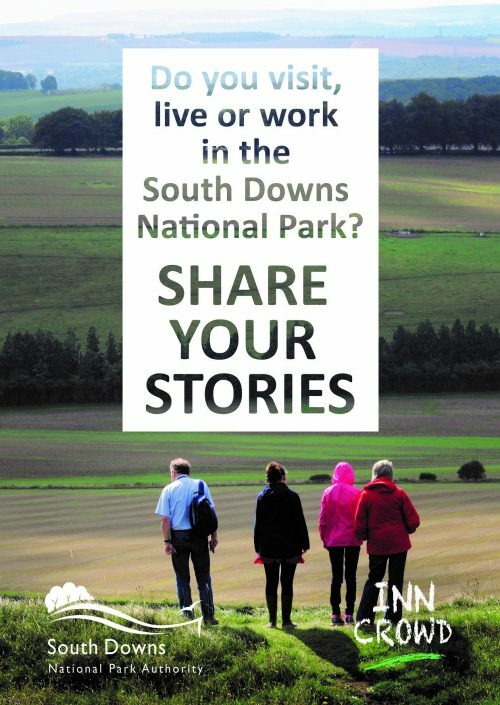 In a partnership between Inn Crowd and South Downs National Park Authority, Sara Clifford, Writer in Residence 2019, will be creating a new show inspired by the national park to tour in the September. Share Your Stories is a series of events and activities that the public can join to help her shape the new show. The Hope is drawing and writing the South Downs in words, curves, lines and marks……. Join INN Crowd to add some of your own lines, marks and ideas to a large collective work. Mix and match with cut and paste and explore paper, words and texture in a free relaxed creative opportunity.